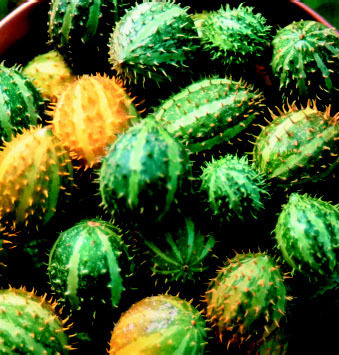 Also known as the ‘Paddy Melon.’ Tiny round non-edible fruits are deep green with lighter stripes when young, turning yellow with light stripes as they ripen. 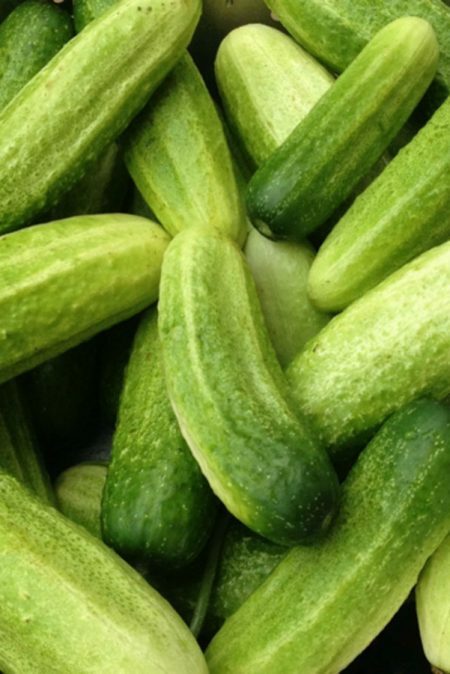 Soft short spines are scattered across each 1 inch mini cuke. 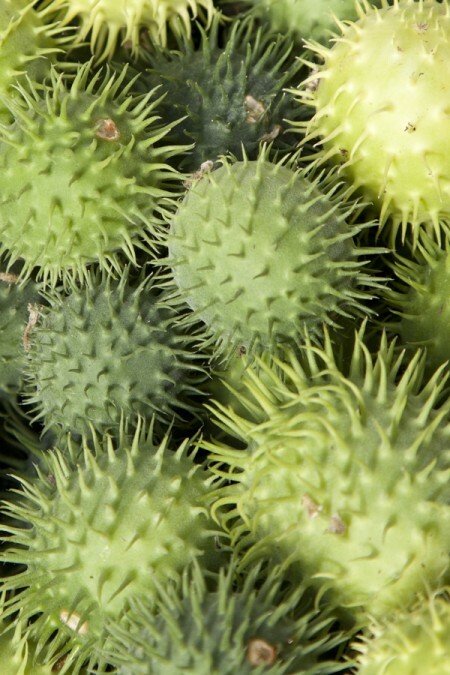 Adds a new look to a decorative arrangement or a fun element to kids’ crafts projects. Care: Space 2-3′ apart in all directions. 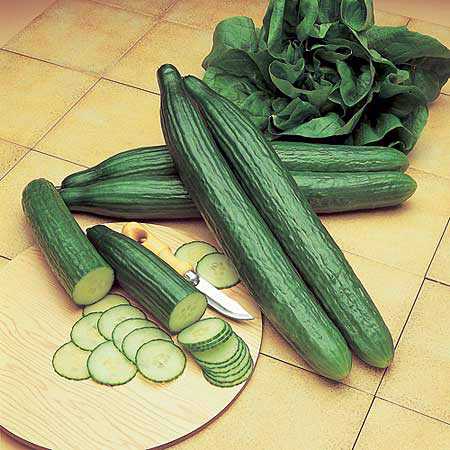 Cucumbers need heat and well-drained soil: plant in full sun in raised beds or hills. Vining plants can be allowed to sprawl or grown on a trellis. 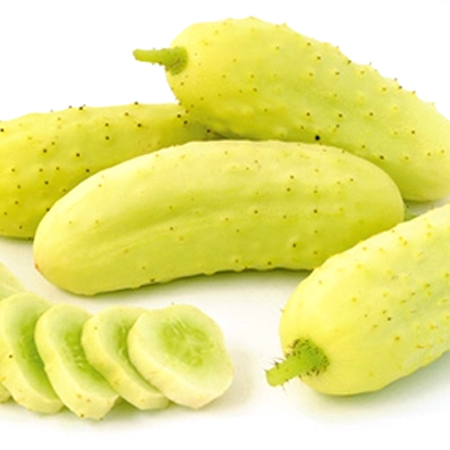 Be the first to review “Cucumis myriocarpus Gooseberry Gourd” Click here to cancel reply.